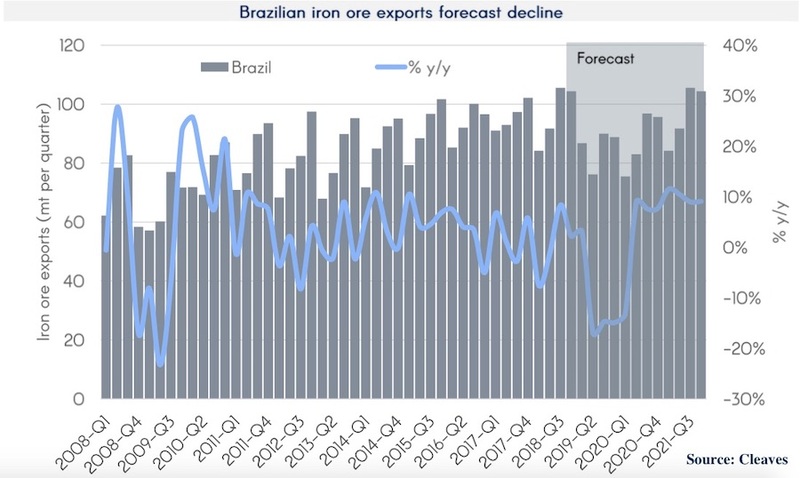 Cleaves Securities is predicting Brazilian mines will ship 342m tonnes of iron ore this year, down 12% over 2018’s figure, marking the country’s biggest ever drop in exports of the commodity, volumes-wise. After a dire start to the year with multiple accidents, Brazilian miner Vale last week gave much anticipated guidance on sales being somewhere between 307 to 332m tonnes in 2019, down by up to 75m tonnes from 2018. Cleaves then adjusted to add in other miners and work out what was likely to be exported rather than merely sold to come up with the 342m seaborne figure. “Black swan events are by definition hard to forecast and is one reason why dry bulk shipping investments are so risky,” Cleaves Securities stated in its latest weekly shipping report. Vale’s terrible first quarter, with multiple mine and terminal closures, has coincided with capesizes suffering lows not experienced since 2016. Court Smith, an analyst at VesselsValue, told Splash that Vale’s likely iron ore output this year was concerning, but there are upsides. “Other suppliers should step into the void as Vale will face production headwinds until 2025 by some estimates. This should drive more loadings from other sources,” Smith said. An extended poor performance from Vale could see the cape fleet get into better shape, Smith argued. “If the outage produces a structural shortage, steel prices will rise, and demand for ship recycling will go up. This will contribute to higher deletions of older capesize vessels given the weak day rates we are experiencing,” Smith maintained. Peter Sand, chief shipping analyst at shipowning organization Bimco, reckoned the news from Brazil would see capes head Down Under to cannibalise the panamax coal trade. “This is likely to make capesize ships chase panamax coal cargoes out of Australia,” Sand told Splash. Ralph Leszczynski, global head of research at Banchero Costa, cautioned that it was still to early to say how the year would actually pan out for Vale. “All the numbers quoted are just guesswork at this stage. What we have now is uncertainty,” Leszczynski said. 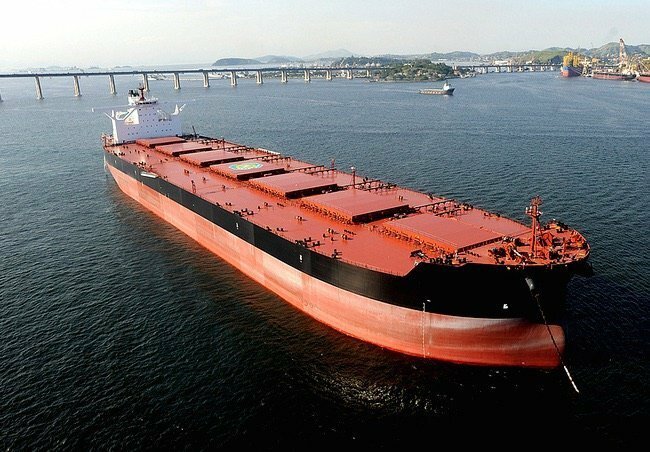 Banchero Costa data shows dry bulk owners have already taken action during the dire first quarter with more capes and VLOCs sold for demolition in the first three months of 2019 than in the whole of 2018. Banchero Costa’s Leszczynski will take the analyst opening slot at next week’s Maritime CEO Forum in Singapore where he will take questions from the floor on the markets in a quick-fire opening 30-minute session.